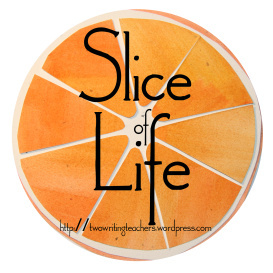 Slice of Life: Are you a writer? “Are you a writer?” said the man seated next to me. He was peering at my notebook. I felt shame. Shame for being caught. Yesterday as read comments on Jo Knowles’ blog, that ghost of shame revisited me. Writers participating in Kate Messner’s Teachers Write Summer Camp were offering their work, their story ideas, their writing that was in progress. I read and thought, Write like this? Oh nooo, not me. No, I’m a teacher. I teach writing, so I’m learning about ways to teach writing. But, me, oh nooo. I don’t write. That’s how I described myself to the man who sat next to me on the flight to New York. I was too embarrassed to say, yes I write. I’m the one who tells students and colleagues that they NEED to write to understand who they are and what they’re thinking. Shame on me for not having the courage to say what I believe in about myself. On Slice of Life Tuesdays and within the Slicer community, I write. The evidence, acceptance, and the expectation is here. I’m not afraid or apologetic. But when I venture outside of this space, into the world where everyday people go to work and do everyday things, I choke on those words. When I construct my public persona, the one I tell my neighbor or any stranger, I might mention my occupation or my family status; I could easily continue by describing myself through my passions. I’m a far cry from an Olympic athlete, but I can, without a moment’s hesitation say I run, or I swim. And I say this because I do it, regularly, five to six times a week. Telling someone outside this community that I write doesn’t feel acceptable. Perhaps because I haven’t done it long enough. Perhaps because it’s a thing that no one sees you do. Perhaps it’s a cultural thing. Whatever the reason for my reluctance, it shows a lack of faith and belief in writing as plausible pursuit or passion. If I can’t admit that I write in the same way that I say I run, how can I convince others that writing is something one does or should do. Much like exercise, it’s good for you and at times, feels good. When that man asked me if I was a writer, I was embarrassed and denied it. Now, I feel shame for what I didn’t say. He wasn’t making fun of me, he was just asking. So, the next time someone asks, Are you a writer? I’ll say, Yes! And you? Thank you, Two Writing Teachers for the space to write and the community of support. For more slices click here. I love the bravery in this Slice and I really don’t think you are alone in describing reluctance to call yourself a writer. I know growing up, my teachers never really told us we were writers and even though I enjoyed writing, I would never presume to give myself that title. How true that we can easily identify ourselves as a runner, swimmer, or even reader without batting an eye. Why do we feel less certain, saying we are writers? My hope is that our students will see themselves as writers and without hesitation call themselves writers, even if they never get paid a word for their writing. I would love to share this post with the Long Island Writing Project a Summer Institute, which I am co-facilitating this week. Brilliant Slice, Julieanne! Oh Julieanne, I feel your struggle! I just wrote about this a couple of weeks ago. I felt like a fraud saying it, but then I thought about my students. I asked myself what defines a writer…it’s someone who writes. Repeat after me, “I am a writer!” In a book on writing, the author suggested that everyday you write that statement…until you believe it. It’s helped me. I am a writer. Julieanne, YOU. ARE. A. WRITER! Thanks, Michelle. I suspect we do this work for our students and along the way we realize we are also doing it for ourselves! I’m checking out that book! I understand your reluctancy to admit being a writer. I think that sometimes being a writer puts out an expectation that one is/becomes an author of a book. If you define being a writer as someone one who writes or lives a writerly life there circle of writers grows. I hope someone will ask the question “Are you a writer?” again soon. Keep writing! Yes. I hope so too. That will take some writing in public spaces. Hmm. Interesting possibilities might arise during the summer. Thank you, Terje. I could have written your Slice(not as well) but yes, I’ve been right there with you and could still be. It’s still hard to break that limiting definition of what it means to be a writer, isn’t it. We still keep that notion to that to be a writer you need to be published, famous etc. We are Writers!!!! When we believe it , our kids will. Thanks, Bonnie. The importance of having a supporting community like this one is essential. And, so very important for our kiddos! Julieanne, The book I referenced in my comment is only .99 on Kindle today. Jeff Goins is the author and the book is called You Are A Writer! I think your reflection reminds us all of that early mindset we all have when just starting out with any new task. It isn’t until we do a task for a while that we then start to think of ourselves as a “__er”. I only consider myself a swimmer because I swam on teams from age 4-20 and now just do it for fun. But all those earlier years is strong evidence that I am a swimmer. Now, looking at ALL the filled journals on the bookshelf and seeing the list of entries on my blogs, I am just starting to think that I am a writer. A teacher of writing rolls off my tongue more quickly but with time, I, like you, will have a positive response for that stranger’s question. It just takes time and of course, lots of practice!! I love this analogy, Sally. Your early and repetitive experiences as a competitive swimmer affected your view of who you are. Imagine if we could do this for our students! “Telling someone outside this community that I write doesn’t feel acceptable. ” I m right there with you. I tell people I am many things, but not that I am a writer. We call our students mathematicians, scientists, authors, to build their confidence and the mindset, but we don’t do that for ourselves. Being aware of this is important. It’s a mindset and perhaps our limited (perhaps antiquated) definition of writer that needs to be revised! What is the criteria for being a writer? As teachers, we know we’ve done the work. We have a certificate that authenticates us. But where is the writer certificate? In our writing project, the director always told us to look at the person next to us and practice saying, “I am a writer.” It takes practice. Revise your thinking. I am curious about the man’s tone of voice. It seems being a writer is more respected in society. I imagine he was admiring you. I’m working on revision Margaret. It is a constant process, right? Julianne, I think this post hit a nerve with a lot of us. I also would never identify myself as a writer publicly although I think of myself as a writer in my soul and heart. Maybe identifying ourselves as a writer feels like we are opening the door to too much self revelation? I don’t know. But I do know if you say you are a runner, no one expects that you have done Boston. And if you say you are a swimmer, no one expects that you swim the English Channel. But say you are a writer and everyone expects that you are published. It’s interesting isn’t it! I think it’s partly because it is so close to our heart and soul that we don’t want to make it too public. It feels dangerous. Thank you for your words, Bernadette! 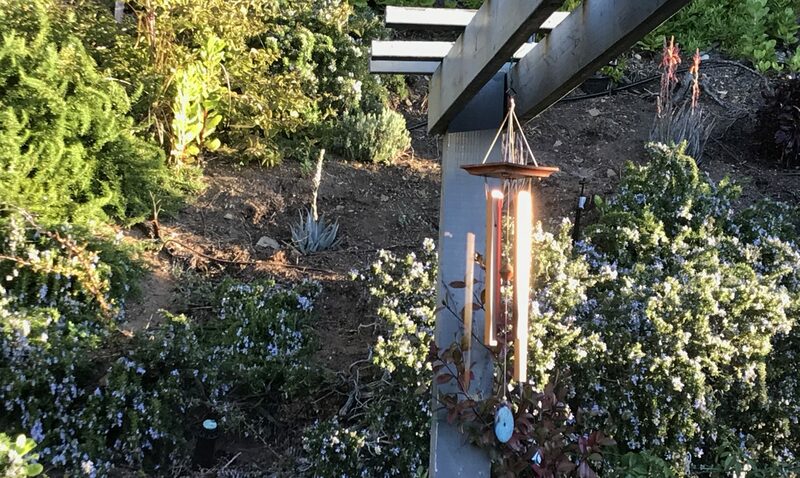 What a post, Julieanne! You are a reader, a writer, a thinker and I’m so grateful for all that you share. The idea that we need to be published (which you are here) is “changing” but this is truly a time when our mindset truly effects our belief in ourselves. Just like the “Little Engine that Could” we need to practice saying, “I AM a writer!” loud and long! Thanks, Fran! It is so good to have like-minded souls out there to connect to! Perhaps because of the changes in technology “published” and “writer” will seem more accessible and possible for all. I hope so. It has only been in the past year or two that I have felt (semi-) confident writing down “Writer” as my occupation on forms that I have to fill out at doctors’ offices. It’s so strange because I’ve known I’ve been a writer for sometime. Capitalizing it consistently and claiming myself as one has taken longer. Ah, that capital letter makes a huge difference! The process of writing is so very deep and personal. It is a scary thing to say out loud. I hope our children will all see themselves as writers, in the lower case form. Well said, you writer you! There are certain concepts in our society, and being a writer does seem to mean being published, with a byline, and on. I wonder if you were reluctant because that man might have asked another question, like “what have you written?” I know that this is something I do think about, no matter how many words put on the page. I am a writer, but. . . Thanks for sharing, Julieanne, something evidently many of us feel. Is it the elephant in the room? I love the thoughts here. Thinking, talking and writing should be viewed as things we do without apologies or qualification. We write therefore we are! Thank you, Leanne! You are so kind and humble. I’ll own it if you do! We are writers and thinkers. Just look at us. It’s definitely something to wrestle with isn’t it! I”m sure I’ve told you about having “writer” on my twitter page, and being asked “What do you write?” when I met a fellow tweep last summer. I quickly took it down, because at that time all I could say was, “Um, I write email.” Way back then I wrote personally, but I didn’t yet put anything out into the world except email, texts, tweets and a few grant proposals or school papers. I’m so grateful for your support in my writing life, Julieanne. It’s a work in process, and such a valuable part of personal and professional growth. I giggled at the “umm. ” How brave to put it on a Twitter profile. Our definitions have to change a bit before we can move others. I simply love the thinking around this idea. My teaching life has changed because I write. Hmmm, maybe that should go on the profile. It was so interesting to read your post as well as the comments and wonder why we (myself included!) don’t always identify ourselves as writers. We should all take a pledge to start each morning by saying “I am a writer!” (and not just on Tuesdays). Of COURSE you’re a writer! I read your work all the time, so I know! LOL And now you’re my Voxing buddy, too! I love this group! I hope you get to see that man again, someday. Then you can tell him! In the meantime, keep writing! Thanks so much Jennifer! Love the Voxing too. Speaking is an important part of our literate life! This post really has me thinking, Julieanne. In fact, I may have to write a blog post about it. Unfortunately, I think we (meaning society) have an idea that only someone who gets paid for their writing is a “writer,” when in fact, everyone should be writing! Just as you wouldn’t hesitate to identify yourself as a “reader,” we should embrace our identities as writers. It’s part of who we are! Thank you. I hope you write that post. The comments here have helped me understand why I feel the way I do.. Maybe grow and dare a little bit more too.